Here are some information about my sponsors. You also would like to become a sponsor? Please call me or write me an email. One of the most beautiful BMW car dealerships is in Hamburg. Here, service quality and performance is very important. In particularly friendly manner Knut Hempel is not only the right person for me. Looking for a new car, then take advice from my sponsor. 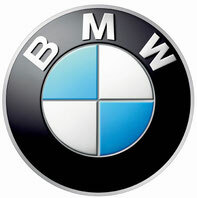 Thank you BMW Hamburg. Ernst Danler from Austria is one of the most successful Schlittenbauer world. Since 1996, we work together. Due to the ongoing improvements to the details emerge carriage, which are even in a team of more than 20 dogs prepares joy to control the team and let it slide through the corners. Accordingly, I have described in 2005 in the TV documentary "Scarface and Dog Whisperer" with great conviction the benefits of Danler carriage. Pemmican is an old recipe of Indians and works wonders. 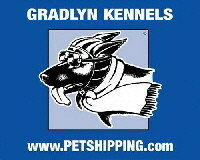 I would particularly like to thank the sponsorship of Henne Petfood GmbH. These energy bars are also available in Alaskastore. The Alaskastore is the largest tableware providers in Germany. You get everything around the dog. In addition to the many new products there is also a real shop in Castle 25712 / Dithmar in Bahnhofstrasse 6 Just live in the internet shop or browse. Best of ski- & outdoor clothes. LOWA staff in action - tradition since 1923. 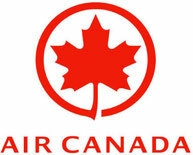 Air Canada is Canada's largest full-service airline and the largest provider of scheduled passenger services in the Canadian market, the Canada-U.S. transborder market and in the international market to and from Canada. Together with its Air Canada Express regional partners and leisure carrier, Air Canada rouge, Air Canada serves over 38 million passengers annually and provides direct passenger service to more than 190 destinations on five continents. Air Canada is a founding member of Star Alliance™. LUPIN THE PERFORMANCE WITH ME A LIGHT RISES! For many years, Wolf Dieter Koch holds me by the company lupine (headlights) loyalty. Lupine provides me with a lighting equipment that I use in Alaska under severe climatic conditions. Even at temperatures as low as -60 degrees Celsius, it must be ensured that the work with the dogs running smoothly at all times, even in twilight and darkness. The spotlight of lupine give me thanks to the know-how of the company's light, what I need. The long battery life keeps me from unpleasant surprises and many a time I could see during training with the help of lupine spotlight dangerous situations in time that would otherwise be problematic. I trust the company Lupin, the products and the people who stand behind it fully. High Premium Petfood with the power of the sea. Come visit us at Sheep Creek Lodge, an historic Alaskan icon, located at Mile 88 on the Park's Highway (about 2 hours north of Anchorage and approximately an hour drive from the south end of Denali National Park). Sheep Creek Lodge from above. Considered by many to be one of the most spectacular structures along the Alaskan highway system, Sheep Creek Lodge's strategic location, majestic appearance, fine dining, superior services and warm and friendly atmosphere has earned it various awards including being named Mat-Su Valley Frontiersman Readers' Choice Awards Best Lodge in the Valley for 2010 We offer the best in Alaskan cuisine and access to outdoor recreation including world-class hunting, fishing, hiking, snow machining, backpacking and other activities. Whether relaxing in our cozy rustic cabins, or in our plush interior, Sheep Creek Lodge hosts a spacious campground in Willow, Alaska rooms, or simply camping within our RV Park campground, Sheep Creek Lodge is a wonderful place to visit year round. Whatever activities you desire, we promise that you will have a most memorable and pleasurable experience.